Welcome to the first online edition of the Wolverine Guard. The goal in this changeover is to reach as many Guardsmen, family members and supporters as possible with up-to-date information. The print version of the Wolverine Guard will no longer be sent out by mail, so please pass on this link to everyone you think may be interested. If you have not already subscribed to receive the monthly Wolverine Guard in your email, click here to do so. You can expect this publication to go through slight changes in the coming months as it adjusts to the new format, but we can promise you that it will be sent out on or around the first of every month. There will always be a link at the bottom for your questions, comments and suggestions. Your opinions are extremely important to the success of the Wolverine Guard, and they will be seriously considered as we move forward. Enjoy the news and updates from March 2014! Cyberwarfare is the fifth domain of battle. While the role of the National Guard in cyberspace is forming at the National level, your Michigan National Guard led by our TAG and governor are at the tip of the cyber spear. Governor Snyder is co-chair of the National Governors Association, Resource Center for State Cybersecurity; while Maj. Gen. Vadnais is a key member of the National Guard Bureau's Cyber General Officer Advisory Committee. In 2011, Governor Snyder published his Cybersecurity Initiative, with key inputs from the Michigan National Guard. At that time, we decided to establish an unclassified cyber range with cyber range hubs at our Michigan Universities and at our National Guard installations to support cyber training. 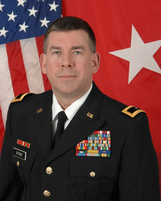 The original intent was to provide a unique resource to train cyber warriors, support interagency training, and put the Michigan National Guard in a unique position to gain new and emerging force structure. At that time, the only cyber force structure was in the Air Force. Today, as Air Force cyber force structure expands; Army cyber MOS's and units are emerging. We know that public companies, private organizations, and governmental institutions are experiencing an ever increasing number of cyberattacks from hackers, cybercriminals, and even foreign governments. Every day attacks try to steal financial, personal, or other sensitive information. Cyberattacks also target vital infrastructure, such as power grids, gas pipelines, hospitals, nuclear facilities, and dams. Cyberattacks could have dire consequences for Michigan and the nation, leading to significant losses of financial resources, valuable data, property, and even life. Just try to imagine what can occur on a modern battlefield with a sophisticated enemy. The cyber range prepares cyber warriors and cybersecurity professionals for detecting, preventing, and thwarting cyberattacks in a real world setting. Like a test track or a firing range, the Michigan Cyber Range enables individuals and organizations to conduct "live fire" exercises, simulations that will test the detection and reaction skills of participants in a variety of situations. On March 25th, Gov. Snyder and Maj. Gen. Vadnais cut the ribbon our first cyber range hub at the 110th Airlift Wing, in Battle Creek, Mich. The facility joins the Michigan Cyber Range that opened in November 2012 at Eastern Michigan University. Other cyber range hubs are operating at Ferris State and Northern Michigan University. Fort Custer will have a functioning cyber range hub in May and Grayling later this year. The next step is to align this unique resource to existing and future military requirements. Those requirements are changing and emerging in the cyber domain every week. Per Maj. Gen. Vadnais' intent, we will begin to incorporate cyber and space in our large scale collective training events. So, when you read future Operations Orders for Northern Strike, Arctic Eagle, and brigade and wing level exercises, you will start to see 'cyber.' We will start to align cyber training that is complimentary to the exercise and eventually incorporate cyber effects in all of our large scale collective training. Some of today’s most threatening enemies don’t carry guns. They don’t ambush en masse on horseback from a mountain ridge, or wear ski masks and dress all in black carrying bags of loot. Nothing about their outward appearance or behavior says, “Be afraid.” Yet, they can pull down an entire city’s power grid, shut down water treatment facilities, cut off food supply and potentially kill vulnerable people in hospitals, schools and nursing homes – all with a sophisticated computer and a few specialized software tools. They are cyber terrorists. And they exist today in every city and every nation. The only way to protect ourselves is to learn how they do it. Echoing the governor’s sentiment, Dr. Joe Adams, Merit Network’s Vice President of Research and Cyber Security, reinforced the importance of readiness and training in order to minimize impact when cyberattacks strike. Merit Network, Inc., is a non-profit, member-owned organization that was formed in 1966 to design and implement secure computer networks between public universities in Michigan. Today, after almost 50 years of innovation and expansion, Merit connects nearly 4,000 miles of network infrastructure to hundreds of clients across the country preparing programmers and network administrators to do battle with our nation’s most dangerous enemy. The Michigan National Guard is also a member-owned organization of sorts given that most Soldiers and Airmen have full-time civilian jobs as teachers, plumbers, fire-fighters, administrators and other careers. They are military members, typically, one weekend a month and for two weeks during the year. And they’ve also experienced many years of innovation and expansion. Once, being a strictly support force to their active duty counterparts, they are now trained on the same equipment in the same situations, and deploy with, active Army and Air Force units in nearly the same numbers. But again, their role is changing. As mobilizations to Iraq and Afghanistan taper off and there is less demand for heavy equipment and aircraft, visionary Guard leaders look to adapt troop skill sets to meet future needs and shape their organization’s relevancy. This is where cyber intelligence becomes critical. Many Guard members already are computer savvy network operators and programmers. It only makes sense to capitalize on these existing skills. Hence the creation of Guard cyberunits which, not surprisingly, have been around almost as long as the Merit Network but are only now taking center stage as the future of the National Guard. The unique feature of Guard cyberunits, and the squadron at the 110th Communication Flight in Battle Creek in particular, is their ability to reach community businesses, state departments, universities, financial offices, all operating in unclassified environments. Before 2011, military cyber units trained and operated solely under the guidance of National Security Agency and U.S. Cyber Command in highly classified platforms. This training environment skewed the military cyber talent pool almost exclusively toward national security issues. By expanding training operations to include unclassified, virtual civilian networks like the “Alphaville” city-scenario created by Merit, the MING smartly positioned themselves to train with civilian critical infrastructure partners in real-world cyber crisis situations. At Battle Creek, a first-of-its-kind unclassified cyber training hub on a military installation, cyber students have the best of both worlds because classified operations centers are also nearby broadening their skill-building opportunities even further. Training at the hub pairs extensive cybersecurity resources that meet NSA and National Institute of Standards and Technology criteria, with hands-on training opportunities to enhance Michigan’s protection of computer systems and sensitive data. Stone predicts that areas including homeland security, infrastructure defense, criminal justice, law enforcement, academic programs related to communications technology and private sector business commerce will all benefit from MING cyber training opportunities. Michigan National Guard cyber training sites will be part of the Michigan Cyber Range, announced by Governor Snyder in 2012 as a partnership between the state of Michigan, Merit Network, federal and local governments, colleges and universities, and the private sector all working together to protect Michigan computer systems and sensitive data. April is the Month of the Military Child, a month dedicated to emphasizing the important role children play in our Michigan National Guard community. It is also an opportunity to thank children for their support to the nation's military and recognize the sacrifices they make while their parents defend our nation, both domestically and abroad. The Child and Youth Programs have many great opportunities during the month of April to show support to our littlest heroes. Events and discounts throughout the state include zoos, roller rinks, museums and more. Find all that information here. We will also be making certificates again this year for anyone who would like to present their child or children with one. If you would like to request a certificate, please fill out this form and return it to Family Programs by 30 April. If you have any questions please feel free to contact Family Programs at (517) 481-9893. We look forward to seeing you all in April and celebrating our amazing military kids! We know this is new, and most likely lacking some of the things you loved about the print edition Wolverine Guard. Tell us what you want to see next month and we'll see what we can do! Tell us here!